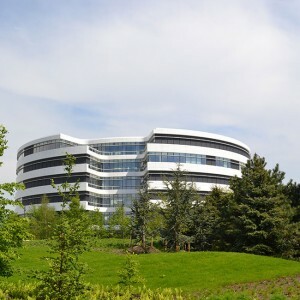 SLA Architects: In the city of Bagsværd, North of Copenhagen, Novo Nordisk has erected its new corporate headquarter. 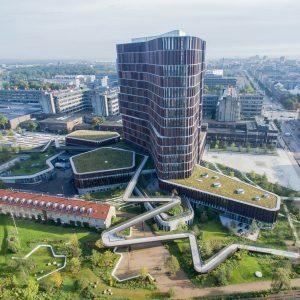 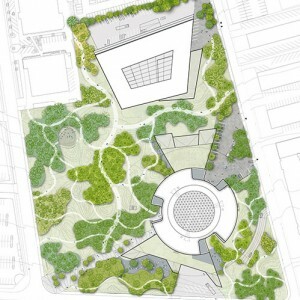 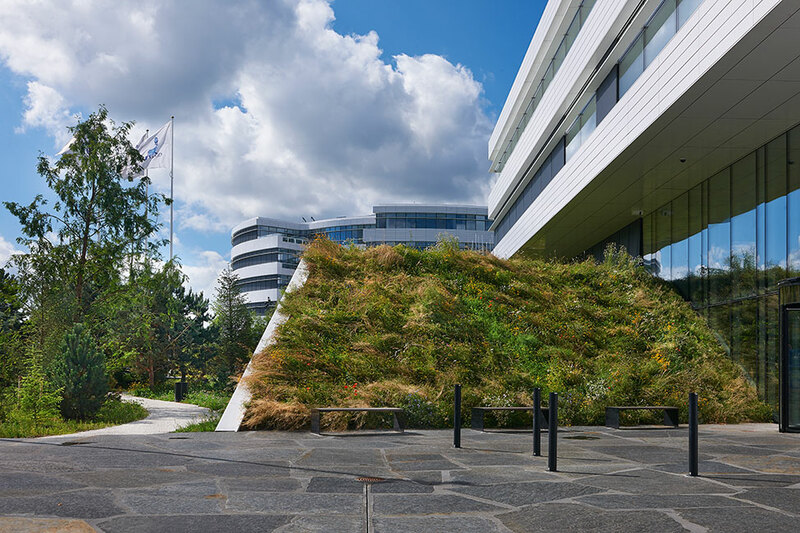 The headquarter, which houses the company’s top management and 1.100 administrative staff, is located in a large, public park, designed by SLA Architects. 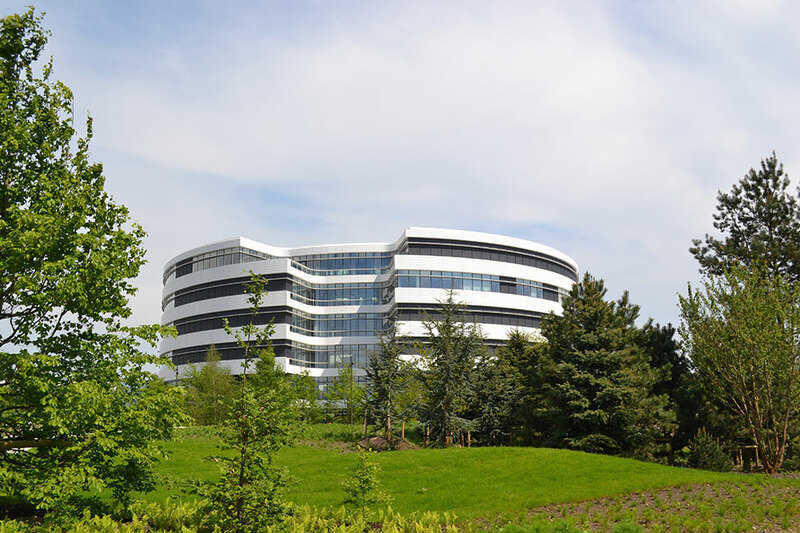 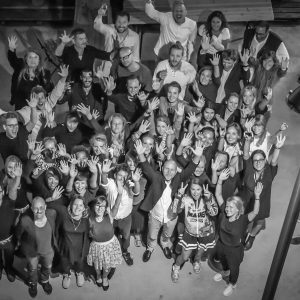 As a world-leading pharmacy company, Novo Nordisk is working in a highly competitive market where innovation and constant development is a prerequisite. 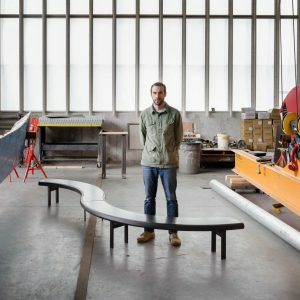 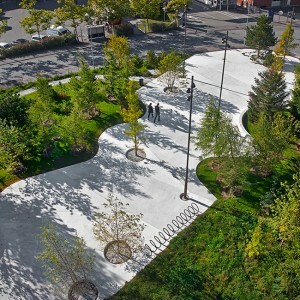 Thus, the focus of the SLA designers has been on maximizing the park’s value for Novo’s employees. 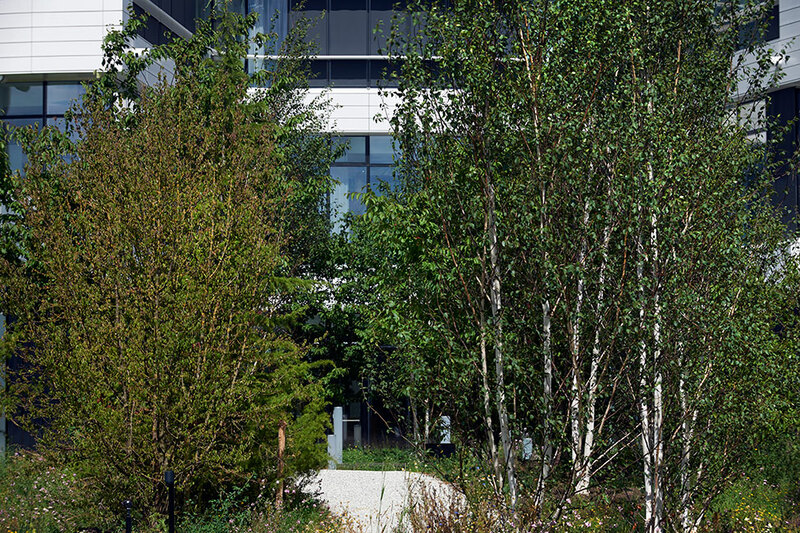 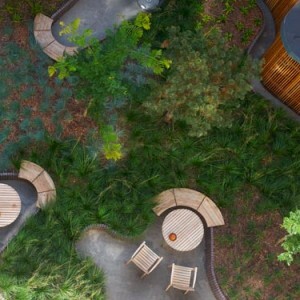 Novo Nordisk Nature Park not only provides Novo Nordisk with a green, recreational framework between its two new buildings; it also provides new and nature-filled opportunities for knowledge sharing, human dynamics, synergy and creativity. 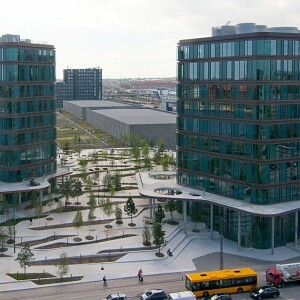 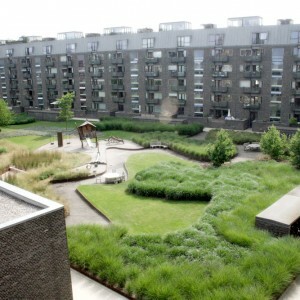 The park’s overall design concept is founded on great thinkers like Søren Kierkegaard and Friedrich Nietzsche who got their best ideas while walking. 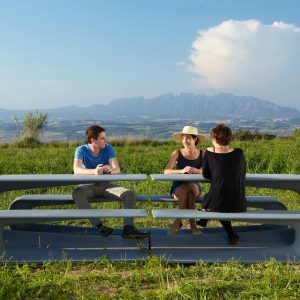 Modern research has shown that people become more informal, more relaxed and more creative and open to new ideas when they are outside. 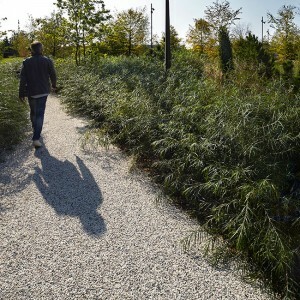 This is especially true when they walk in nature that is wild, untamed, natural and varied in its expression. 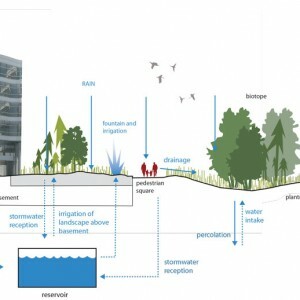 Thus, in Novo Nordisk Nature Park this knowledge is used to create a lush nature park with a maximum of different, dense biotopes intersected by a winding path system cutting in, out and in-between the many different types of nature in the park. 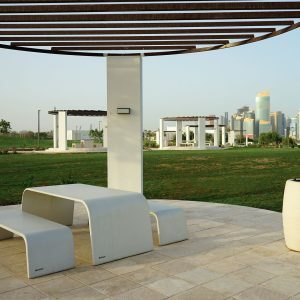 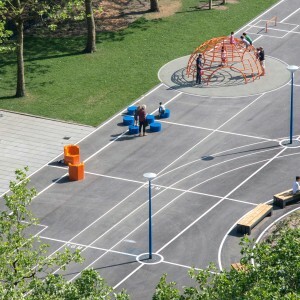 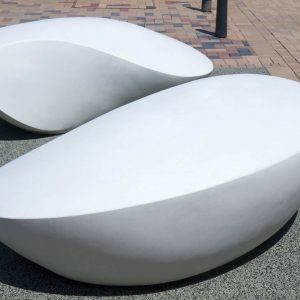 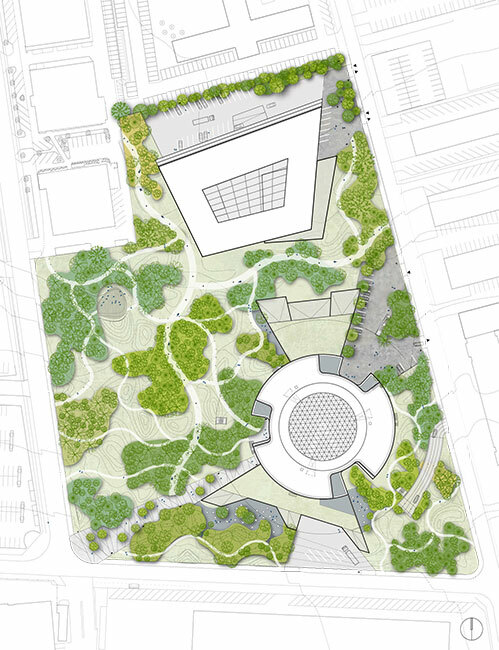 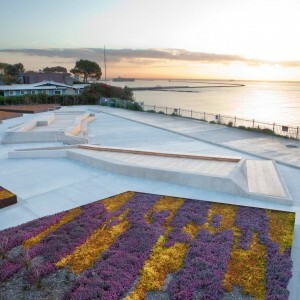 The park thus accentuates the aesthetic experience of nature, and is tailored to provide the greatest sensuous variation of light, shadow, smell, colours and sounds. 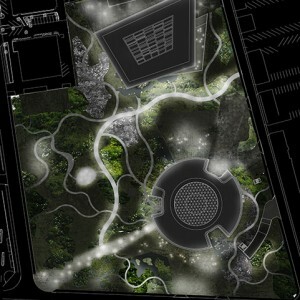 The paths wind up and down through the park’s topography and in and out of biotopes to create maximum spatial variety. 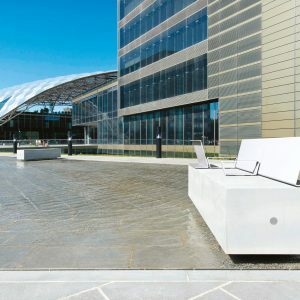 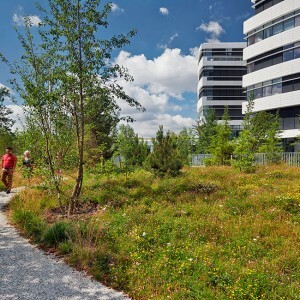 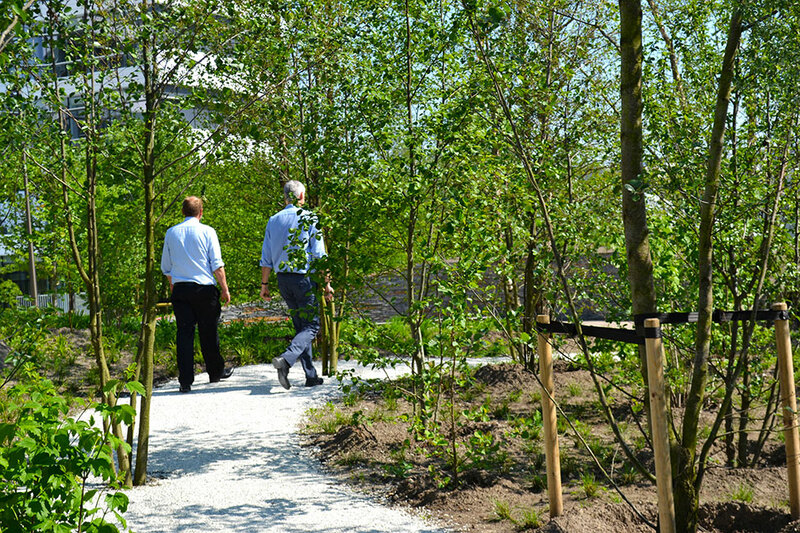 The paths of course provide general access around the site and from one building to another; but they also make it convenient and indeed inevitable for employees to meet their colleagues and arrange walk-and-talk meetings outdoors. 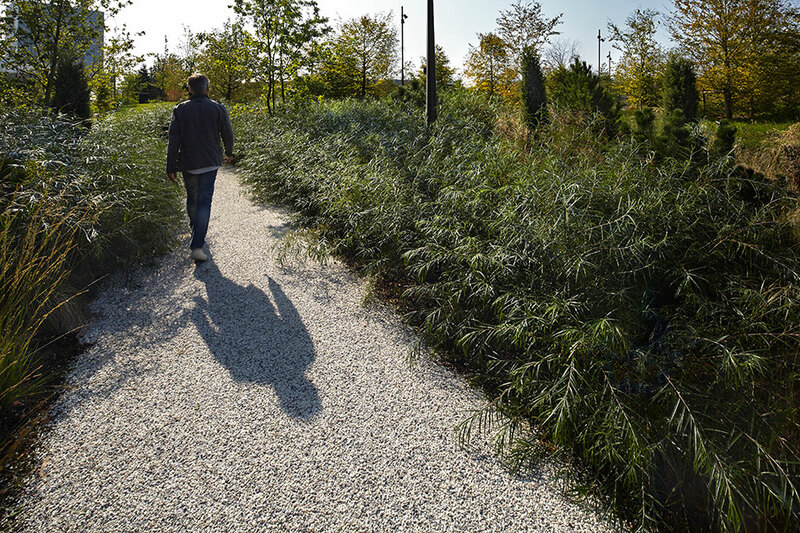 The paths never lead the shortest way from A to B, but wind their way between the biotopes in order to make each trip long enough for the employees to think creative thoughts and meet others on their way. 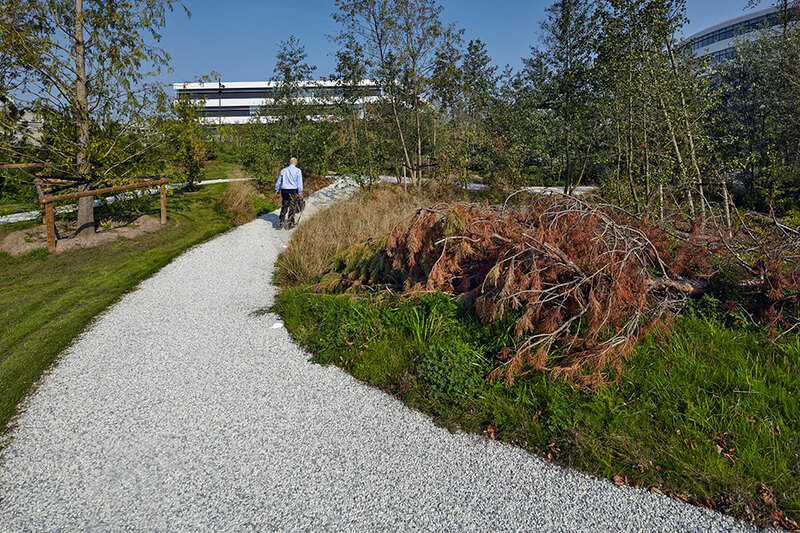 Wild nature, crooked trees, chance meetings with colleagues, bird song and rosy cheeks all has become a natural part of the everyday working day at Novo Nordisk. 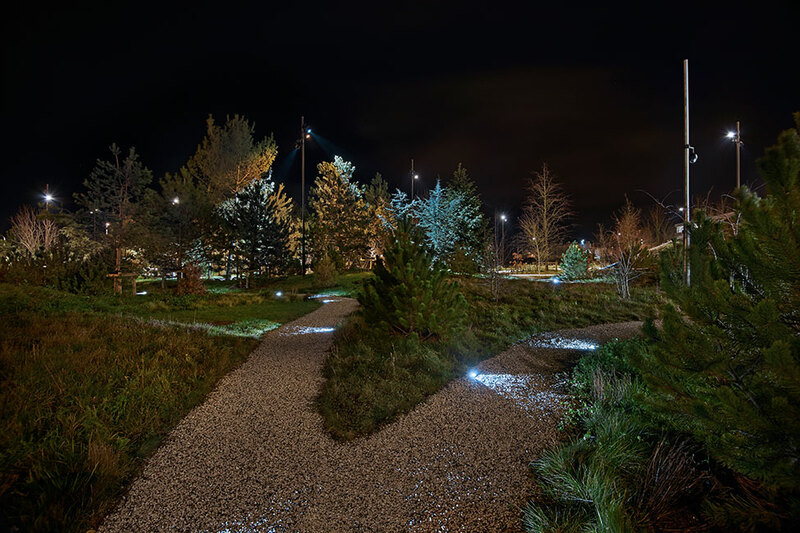 The nature park itself uses a wide palette of native plants and holds over 1,000 new trees which over time will grow into clearly defined small ’forests’ and self-regulatory biotopes. 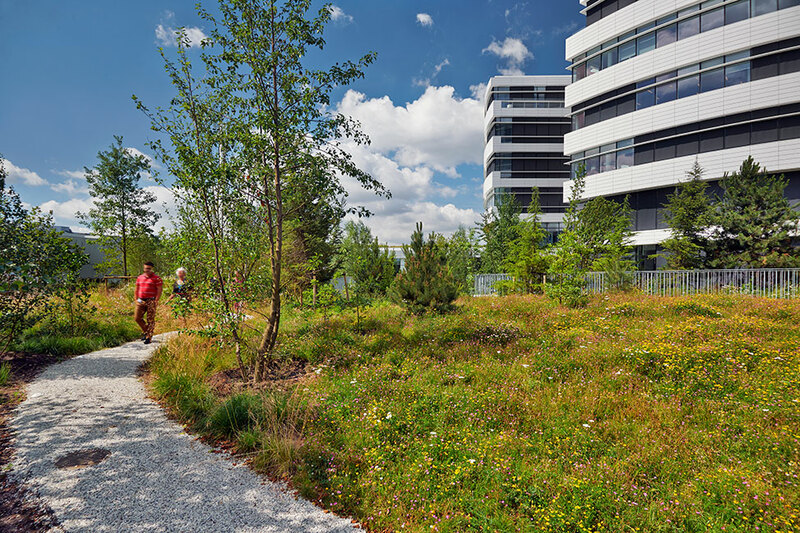 The vegetation is designed to be wild and take care of itself which allows the biotopes to evolve with natural succession and minimal care. 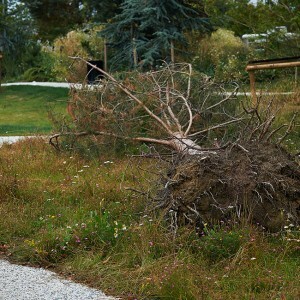 Because of the SLA designer’s stated desire to create maximum biodiversity in the park, several dead trees have been placed in between the newly planted trees. 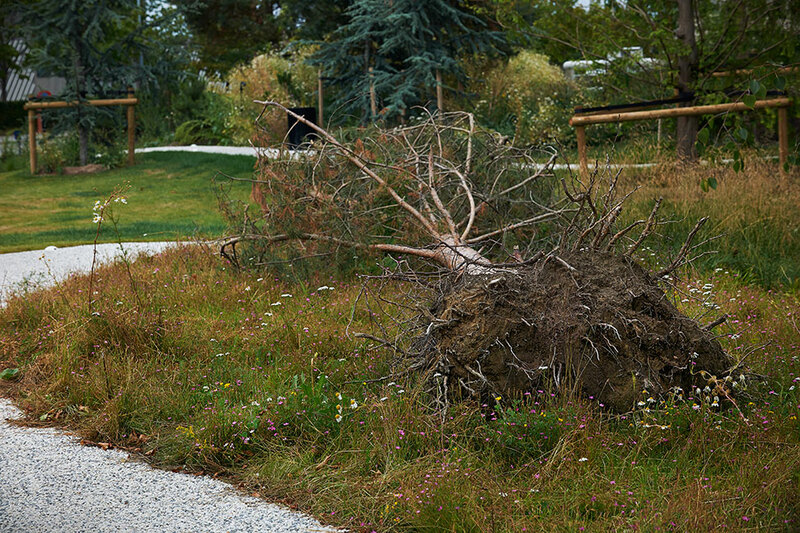 Dead tree trunks have vital value for natural ecosystems, as they are important habitats for beetles, caterpillars, mosses, etc. 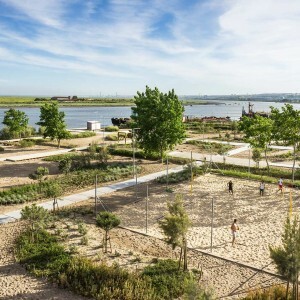 But they also provide the park with the smell of decay, the rot of the trunks and a direct confrontation with the life and death of nature’s ecosystem. 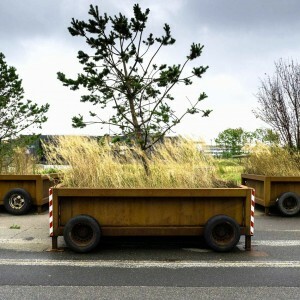 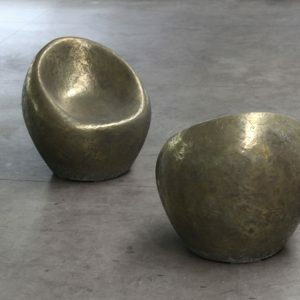 A powerful exhibition of the full aesthetic feeling of nature. 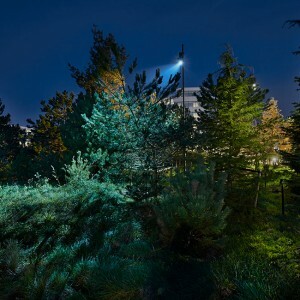 The nature park’s 1,000 trees are all inspected and hand-picked by the SLA designers in specially selected nurseries, and composed in relation to their natural habitat, their shape, their volume and in relation to the local microclimate to maximize shelter for the users of the park and for the office buildings. 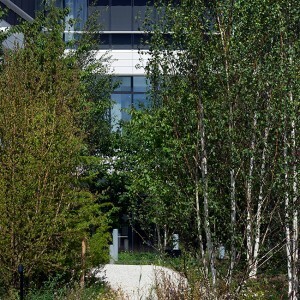 The trees also help to absorb all rainwater that falls on site. 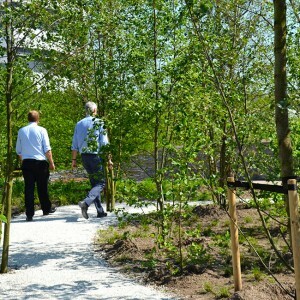 Depressions are planted with alder trees and other water tolerant species in order to contribute to the park’s ambitious climate adaption design. 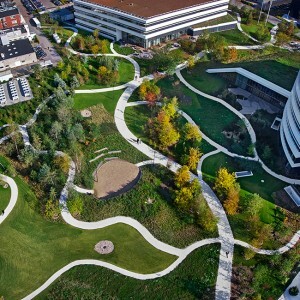 As such, Novo Nordisk Nature Park is the first park in Scandinavia with 100 percent natural water balance. 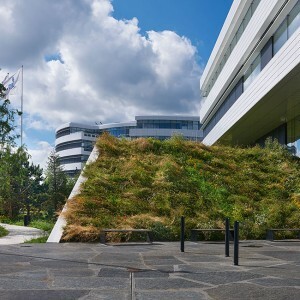 Thus all rainwater that falls in the area and on the buildings is collected and used for irrigation. 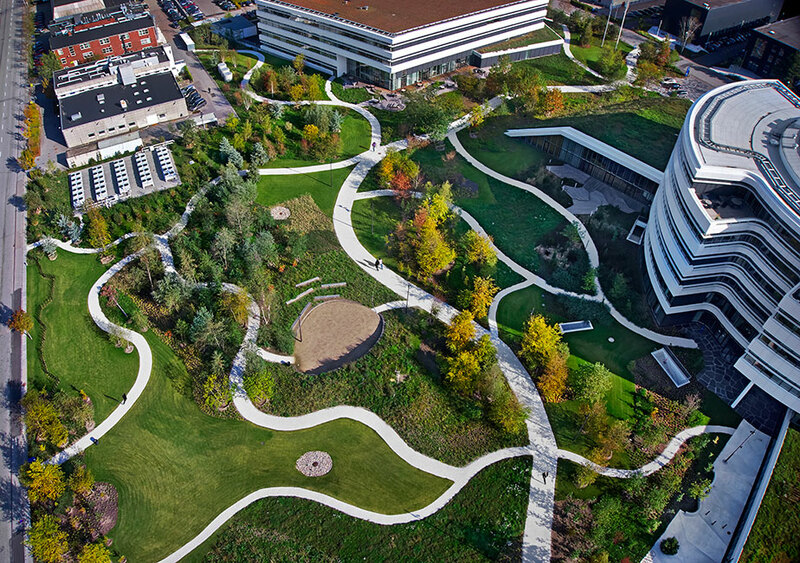 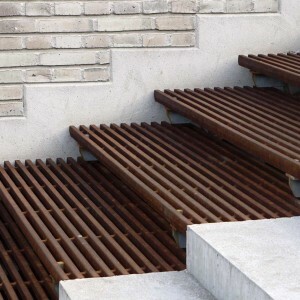 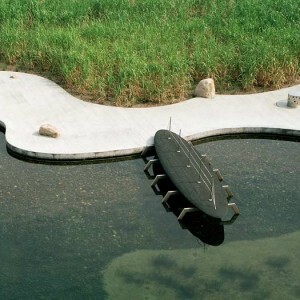 Because of the landscape’s carefully designed topography and plantation the nature park can handle even torrential 100-year rainfall events without directing any water into the sewers. 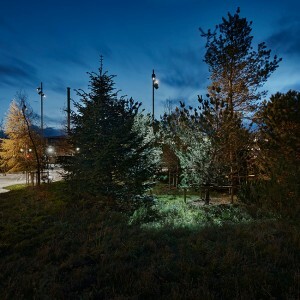 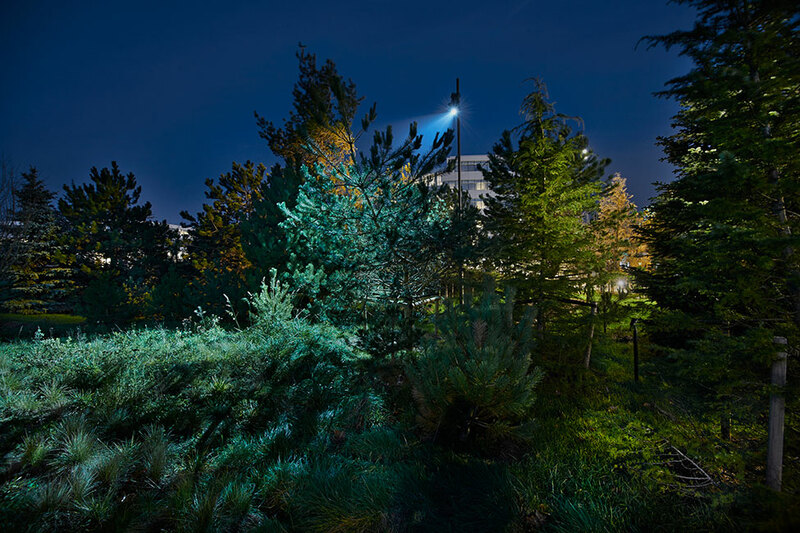 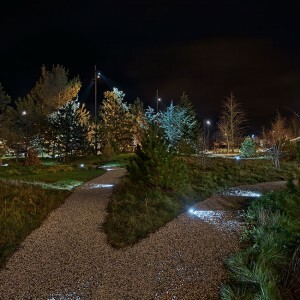 Lighting also plays an integral part in the design of the nature park. 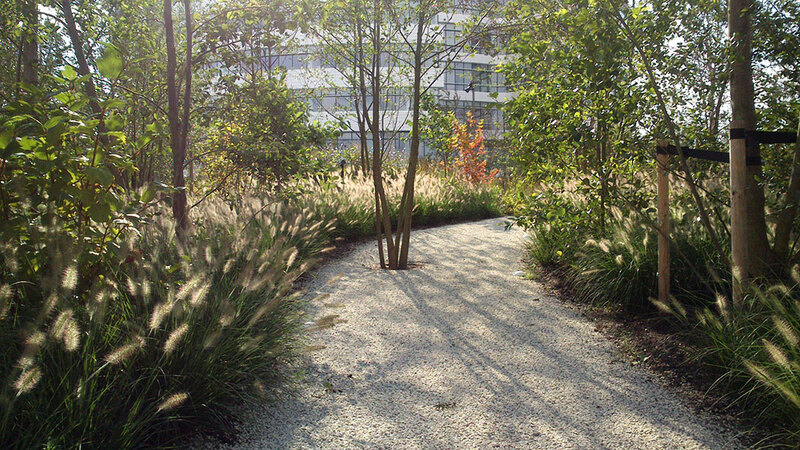 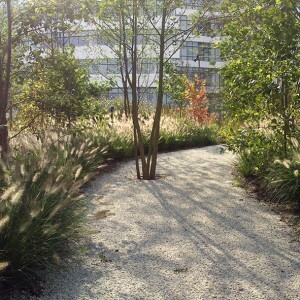 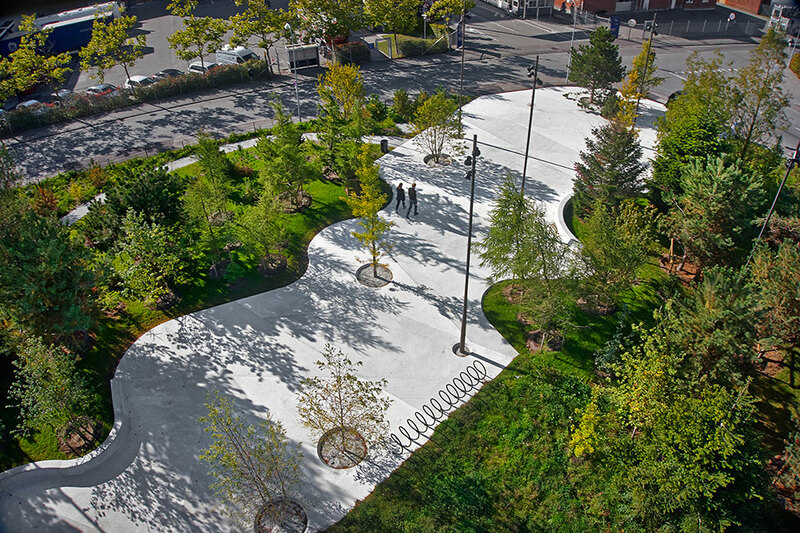 During daytime, the sunlight will allow the vegetation and the leaves to cast weaving shadows on the gleaming white concrete of the paths. 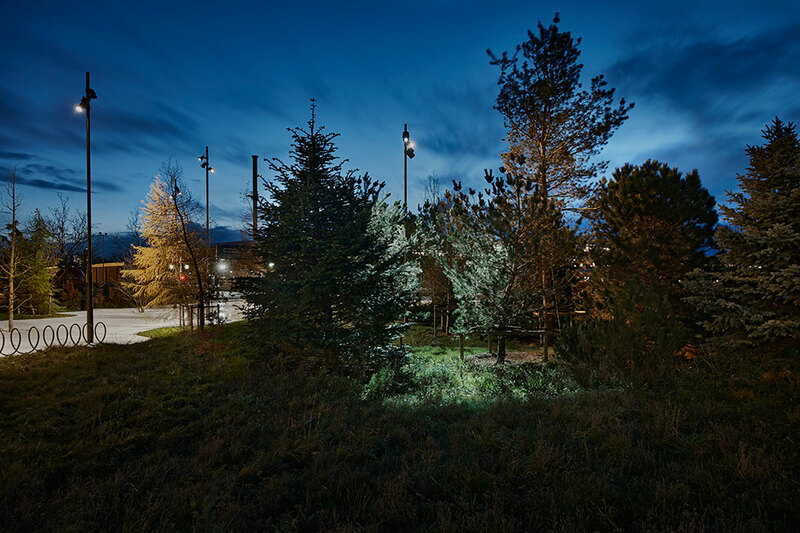 In the evening the landscape is lit up by carefully aligned tones of white light which highlights and enhance the natural colors and movements of the vegetation. 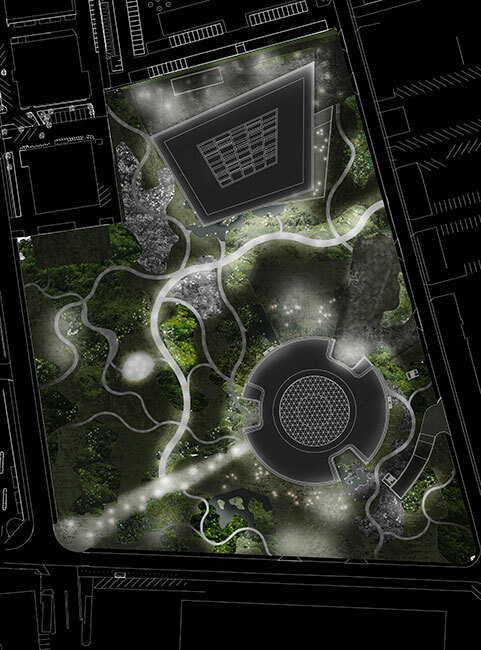 Some biotopes are enlightened from within by varying Gobo light projections that create the atmosphere of shifting moonlight. 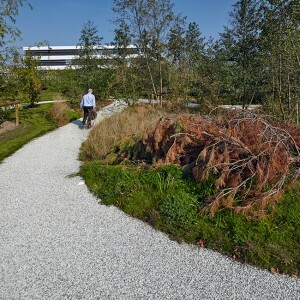 All in all, SLA’s Novo Nordisk Nature Park provides Novo Nordisk with a strong, new landscape brand, while employees, clients, the citizens of Bagsværd and the local wildlife all have received a sensuous and lush landscape that provides room for recreation, inspiration, social meetings and a stress free environment all year round.